The campaign Aim: For everyone to have fun at these events, and get home safely. 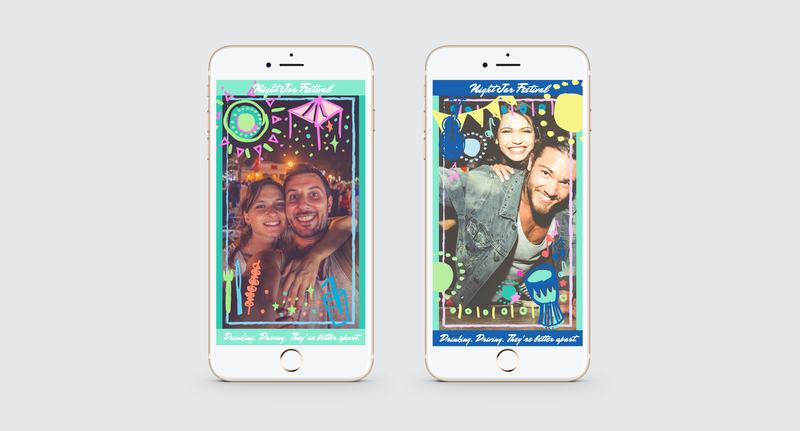 To remind people drinking and driving don’t mix, we created a series of SnapChat filters with this message for TAC & the Nightjar Market, Torquay. In Collaboration with Assemble Agency, a coastal based digital Agency, we used similar illustration style to the NightJar creative, and created a series of fun filters for people to use. 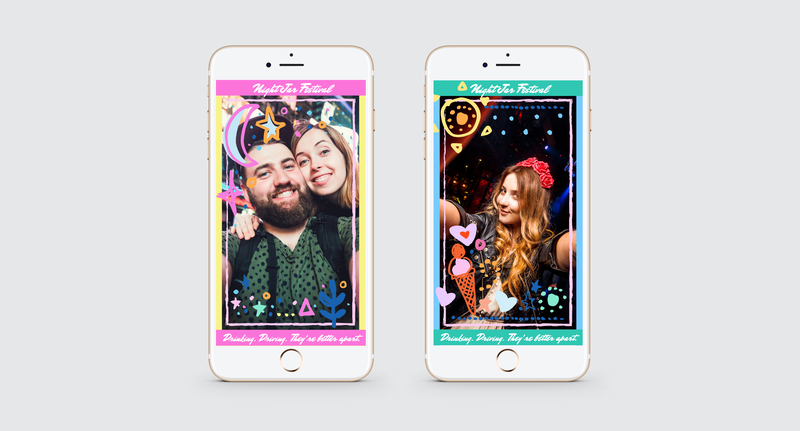 Using geo-targeting, anyone at the event could access the filters in SnapChat and apply them to photos they sent their mates.